Birthstones are linked to each month in the lunar calendar. Every month is denoted by a unique birth stone that covers several aspects of our lives. 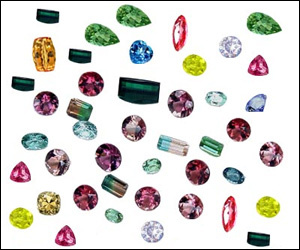 Each birthstone has magnificent properties that influence the lives of people born in the month. This symbolism makes a birthstone a great choice as a push present. Garnet is a precious stone and influences people born in the month of January. It is named after juicy, red pomegranates since the color of the stone is mostly red. This birthstone is mainly known to symbolize loyalty, strong faith and hopefulness. People born in the month of February spend their lives under the influence of amethyst. This birthstone symbolizes religious minds, sincerity, and sobriety. Amethyst is worn by people of diverse ranks in the Roman Catholic Church. As per tales, amethyst is a maiden made into a stone by Diana, the roman goddess. This stone has a lucid, bright, and shiny shade of blue which clearly symbolizes its name. Aquamarine is linked to great intellect, clarity, and the brilliance to display courage and foresight. This birthstone has been very popular amongst sailors to support their assumed defensive elements. People born in the month of April live under the influence of diamond. The vividness of this precious stone makes it a natural symbol of purity and innocence. It is also rumored to come into existence as a tear of the gods. The bright, illustrious green color of emeralds mainly symbolizes high success and intense love. A lot of people mainly associate it with immense success in love. Pure and shiny pearls are a glamorous addition in a woman’s jewel box. Pearls are linked with longevity and good health. Mostly, found in cream or white, you can also find them in a wide assortment of colors. Ruby is also a precious stone that is red in hue and often associated to enhance love. But, mainly being a birthstone it symbolizes happiness and satisfaction more than infatuation. Peridot is available in various colors and has a great influence on marital happiness of either past, present or future. Sapphire represents clarity and purity of thought. This birthstone can be found in every color besides red, but it mainly comes in blue. This birthstone influences people born in the month of October. It comes in an assortment of shades, both solid and rainbow. The opal stone is sparkling and known to symbolize hope. Topaz can be easily found in a broad category of shades. The stone symbolizes faithfulness in both romantic and non-romantic circumstances. Although, turquoise is one of the least expensive stone, it represents overall success. This means both monetary and non-monetary prosperity. You should use these influential birthstones and get them for your loved ones too. These stones make awesome gifts to celebrate special occasions. Present them at anniversaries, birthdays, and most importantly as a push present to make her feel special and appreciated.